Cranberries are one of the most beloved berries worldwide, used to make juice, sauce, and tea. Our Cranberry Tea provides a tart and nutrient-dense cup of yum. Enjoy hot and cold, year-round. Native to marshes and bogs across the Northern Hemisphere, cranberries are among the most popular berries cultivated by man. For countless centuries, cranberries have been harvested as an important food source and a traditional treat. Although freshly harvested cranberries are hard and too sour to be eaten right away, after they have been sweetened, these berries become a favored ingredient in pastries, jam, desserts, and especially in cranberry sauce and cranberry juice. When dried and powdered, these berries also make a refreshingly tart and invigorating tea. 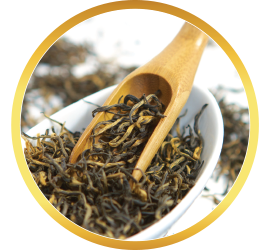 Fans of the dynamic flavor of cranberry will undoubtedly be captivated by this invigorating tea. 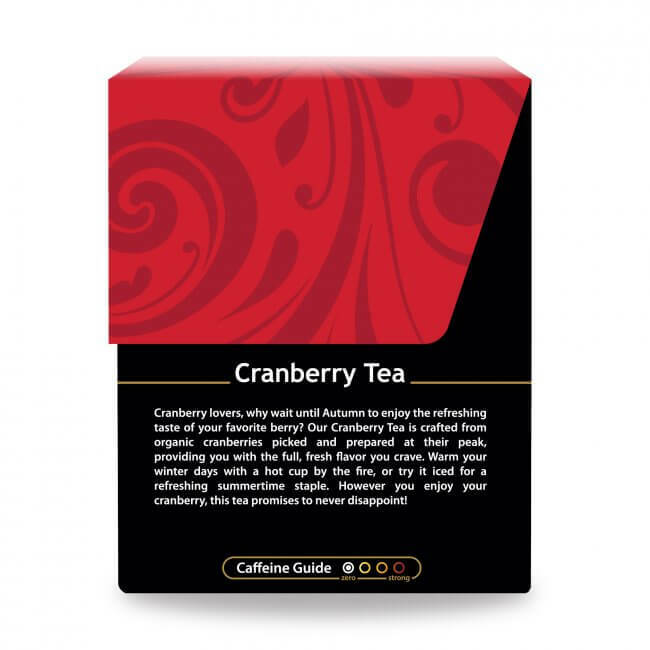 If you enjoy potent, flavorful teas, you’re sure to enjoy our Cranberry Tea. Yet this tea has much more to offer than flavor. 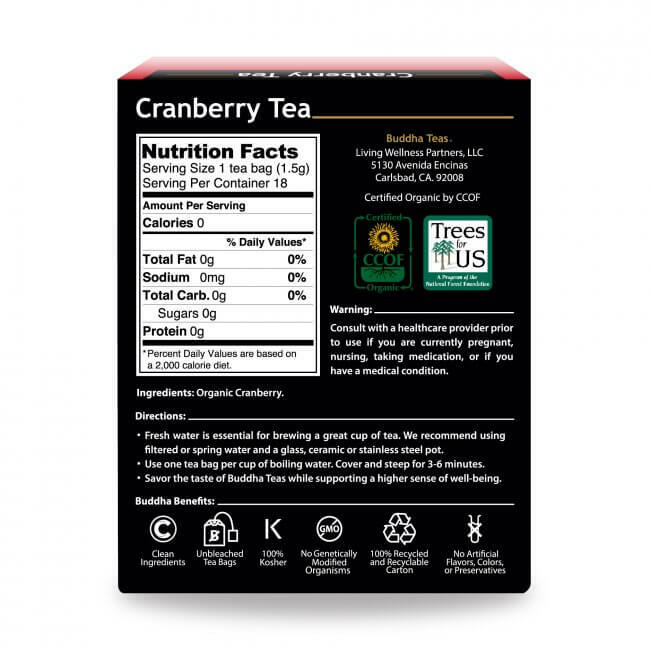 Crafted from organic dried cranberry pieces and powder, this tea provides a natural source of vitamins and minerals, most especially vitamin C. Indulge in a refreshing cup of Cranberry Tea, and fortify your body with essential nutrients. 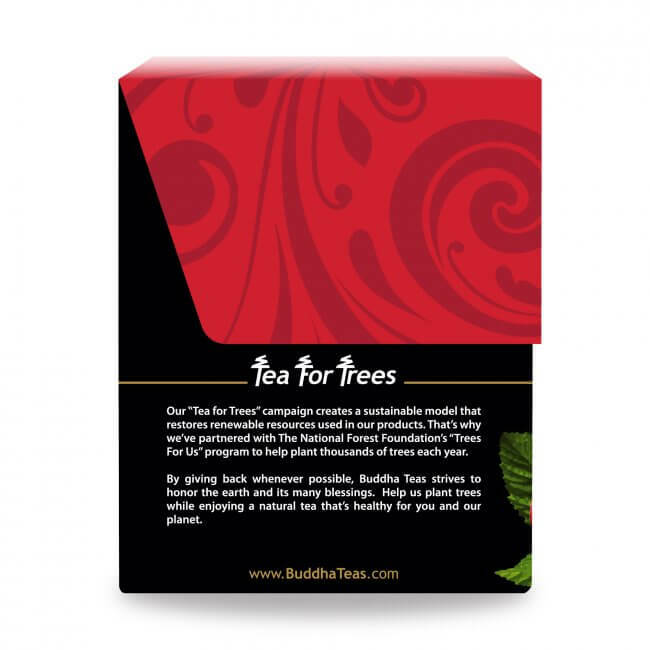 Buddha Teas offers Cranberry Tea that is organic and naturally caffeine free. 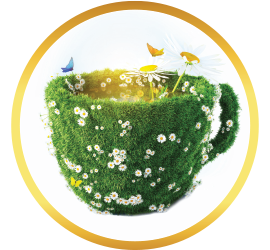 This herbal tea is perfect for a variety of situations. 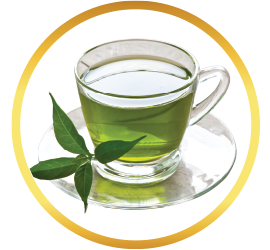 This herbal tea can be savored hot, or it can be iced as a refreshment for a hot summer day. 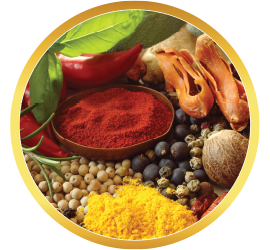 Save money with our coupon codes, and buy in bulk to save even more! 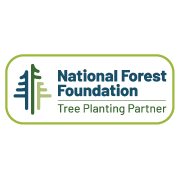 All orders of $50 or receive free shipping. 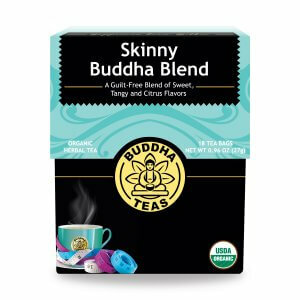 Enjoy Buddha Teas' freshly made herbal brews crafted from organic and wild crafted ingredients, and packaged in chemical-free bleach-free tea bags. I am so in love with this Tea flavor. It is light and flavorful. I will always keep this on hand; I will never be without Cranberry Tea. There is no word to describe how good this tea taste. I will be ordering more. Great tea! Cranberry is so hard to find and juice isn't always the best. 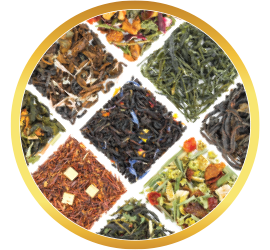 The tea tastes good alone or brewed with other tea flavors. 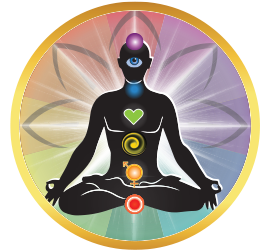 I found it soothes my system and that was the point. Thanks for making a fantastic tea! When I feel an irritation coming on, I drink a cup of Buddha Cranberry Tea, hot or cold. It’s really good with a cinnamon stick in too. Cranberry Tea is getting hard to find ... it’s not in any of the stores around me lately. I was SO happy to find it at Buddha teas. 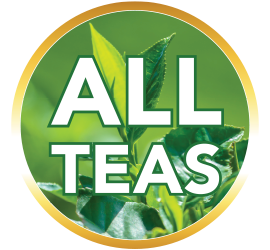 My favorite tea shoppe to hop on line with. Very happy the tea comes so quickly as well. This tea is the hot-chocolate equivalent of cranberry juice. Perfect for those who like unsweetened cranberry-only beverages, no combinations with other fruit or added sweeteners. The teabags are oversized but the packaging is all recyclable and compostable. 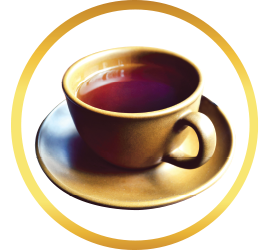 This teas is very good. The flavor is not much and it seems kind of like a weak tea. But I got this for health reasons. I have felt better after drinking this tea for a couple of days. I bought this tea and another to help my better half deal with some health issues and it seems to be working for both of us. 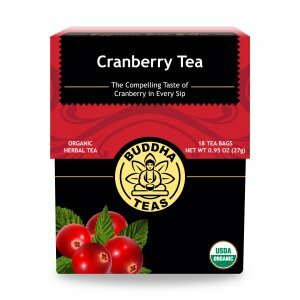 I was looking for a good natural, unsweetened cranberry beverage substitute for cranberry juice as I am trying to cut down on sugar, artificial sweeteners, additives etc. This has great cranberry flavor, gives the health benefits of cranberries, does all that I wanted too! Great find!